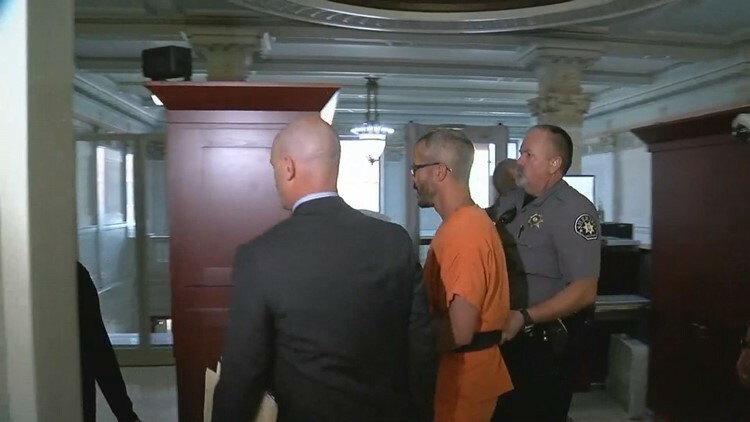 Chris Watts will be advised of the charges against him for allegedly killing his wife, Shanann Watts, and two daughters, Bella and Celeste, on Tuesday morning in Weld County court. WELD COUNTY — Weld County prosecutors on Monday filed multiple charges against Chris Watts, the Frederick man suspected in the slayings of his pregnant wife and their two young daughters. Watts, 33, was being held without bail in the killings of his wife, Shanann Watts, 34, and their two daughters, Bella, 4, and Celeste, 3. He is scheduled to be in court Tuesday morning to be formally advised of the charges he faces. Shanann Watts, who was 15 weeks pregnant, and her daughters were reported missing Aug. 13. The next day, Chris Watts granted an interview to 9NEWS and to other media organizations pleading for the safe return of his wife and daughters. The day after that, police took Watts into custody and he confessed to killing his wife and children, law enforcement sources confirmed to 9Wants to Know. Investigators found Shanann Watts’ body in a shallow grave Thursday on property owned by Anadarko petroleum, the company Chris Watts worked for until being fired following his arrest, according to court documents. Later that day, investigators found the bodies of the girls “have been in an oil well filled with crude oil for several days,” according to a defense motion to require DNA testing on the necks of the two girls – language that suggested they had been strangled. Weld County District Judge Marcelo Adrian Kopcow granted that request but denied motions filed by the defense asking that it be allowed to have an investigator and an expert present at the autopsies and that the DNA be collected in a manner prescribed by a defense expert.